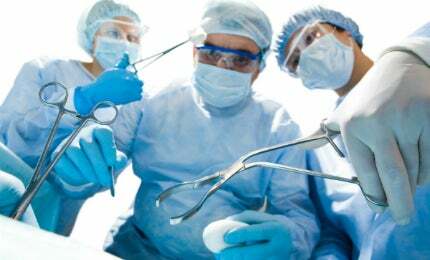 Sterigenics provides a comprehensive range of technologies and services for the sterilization of medical devices. Technology assignments are decided through research with customers relative to technology preference, evaluation of plastics and components, packaging, sensitive biomaterial, and the device itself. There are a diverse range of medical devices used every day by consumers. The majority being medical disposable devices, but there are also reusable devices and equipment that require sterility. Despite standard manufacturing practices and sterile conditions, the products have microorganisms. Companies are required to release products free from any viable organisms that would pose a health risk or serious injury. Initial and ongoing testing, validations, and sterilization are required to meet regulatory requirements and guidelines. Gamma irradiation is one commonly used technology on medical devices. It is an effective and safe method for various types of disposables. Gamma rays deeply penetrate all products, so packaging is never a barrier. The process does not introduce heat or moisture and the products are not exposed to higher temperatures. There are two types of validations performed on products. Method I validations are more complex, while VD Max validations require less testing and fewer samples. Dosimeters are placed on products to ensure the levels of irradiation are uniform and effective. Ebeam technology may be used for polymers that are sensitive to gamma irradiation. Typically a higher dose is used, but the products have less exposure time, which minimizes the degradation of polymers. This technique is less penetrating than gamma and applies more of a surface dose. Extremely dense product lines are usually not an option for Ebeam. For both Ebeam and gamma irradiation, medical device companies must consider how the method will affect product characteristics and performance. For devices that are not suited for gamma or ebeam, ethylene oxide (ETO) sterilization is a safe and effective alternative. In fact, ETO is used on a large percentage of medical devices worldwide. Pallets of products are placed into preconditioning rooms with high-temperatures and moisture. After this phase, which usually ranges from 12-48 hours, pallets are then transported into large chambers. Products are then exposed to nitrogen, high-temperatures and humidity, and then the gas is injected. Depending on the assigned validation, a gas dwell time is applied to kill the micrograms. Several air washes remove harmful residues to the load, along with ambient aeration post chamber. It is critical that the toxic residues of the gas, as well as the by-product of ETO is removed, ethylene glycol. Residual testing and placed biological test strips are routine each time devices are exposed to ethylene oxide. Early development with Sterigenics consultants with testing and product tolerance is critical. Steripro experts are then assigned to validation projects to assist with all aspects preparing devices for regulatory approval. Sterigenics team of consultants work with an in-house laboratory. For finished products, the laboratory also provides accelerated ageing studies. Product life is advanced through subjecting products to extreme conditions in climate-controlled rooms. Sterility, embrittlement of components, appearance and odor are all tested. This gives companies an insight into the product lifecycle, reliability, and any weaknesses that need addressing. reduced tensile strength and elongation and crosslinking, which increases tensile strength but reduces elongation. Sterigenics's SteriPro labs provide comprehensive test services to help customers optimise processing and bring their products to market in a quick and cost-effective manner. Precision is critical when a product's treatment specifications include a strict minimum and maximum dose range. Sterigenics International has announced it completed the acquisition of Gammarad, Italy's leading gamma sterilisation provider. SteriPro's consulting director, Niki Fidopiastis, will be a trainer at the Radiation Sterilization for Medical Devices Training Programme. Sterigenics International has completed the $826m acquisition of Nordion. Sterigenics International has received the food and chemistry accreditation ISO / IEC 17025:2005 in Mexico. Sterigenics will expand its operations in Atlanta, Dallas and Belgium through an investment of more than $10m. Sterigenics is proud to announce that it has entered into a definitive agreement to acquire Nordion Inc.
Sterigenics International is pleased to announce it has closed the acquisition of Food Technology Service Inc.